Important Note: As described in Impaired Driving and Refusal, as a consequence of a recent BC Supreme Court decision, the status of 90-day “Immediate Roadside Prohibitions” (as distinct from 90- day “Administrative Driving Prohibitions” that take effect 21 days later) is in question and their use has (at least temporarily) been suspended. You do have the right to apply for a review of any prohibition. An application for review must be made within 7 days of the date that it was served upon you. In the case of a 30-day or 90-day prohibition, you have the option of applying for an oral hearing. In the case of 3-day or 7-day prohibitions, reviews can only be conducted in writing. Oral hearings are conducted by telephone. 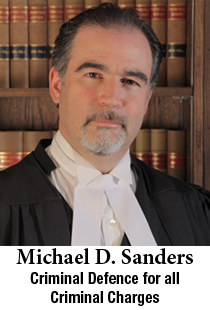 Depending upon the issues raised in your case, defence evidence may be submitted, usually in the form of affidavits. If you are intending to retain us as counsel to assist you on the review, please contact us prior to applying for the review. This is so a hearing date commensurate with our calendar can be arranged. If the review is successful, your driving prohibition will be revoked. The fines, impoundment costs and reinstatement fees cancelled and your driver’s licence will be returned. The adjudicator has 21 days to reach a decision but generally the decision is made well prior to the expiration of that period. Important Note: Applying for a review does not suspend the prohibition. You cannot drive until the expiration of the prohibition or until a decision is made in your favour, whichever comes first. The statement above is not legal advice. It is simply intended to give a very general understanding of this offence and some of the possible issues and defences that might be considered in defending it. For legal advice on immediate roadside prohibition, click here.